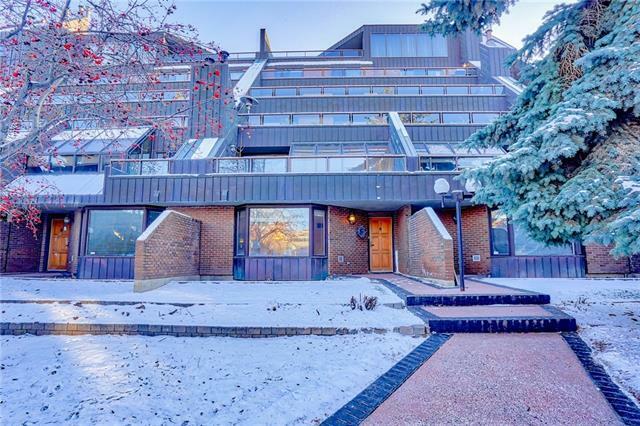 Elegant 2 storey town home in the heart of YYCs Lower Mount Royal is amazing and a must see! Excellent location in a quiet tree lined street. 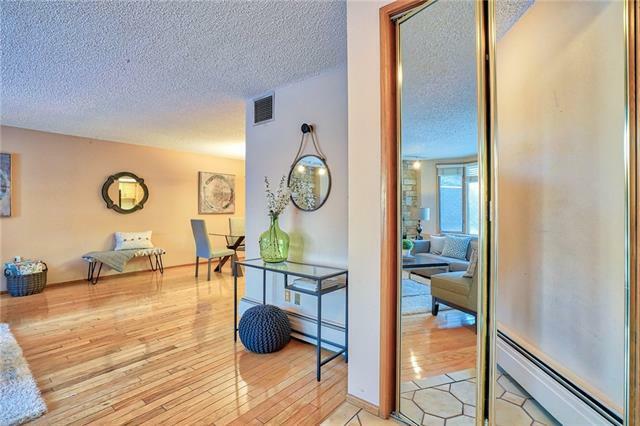 Main floor unit, updated 2 bedroom, 2 bath,hardwood floors in main areas. Spacious open concept floor plan with over 1200 sq ft of living space. 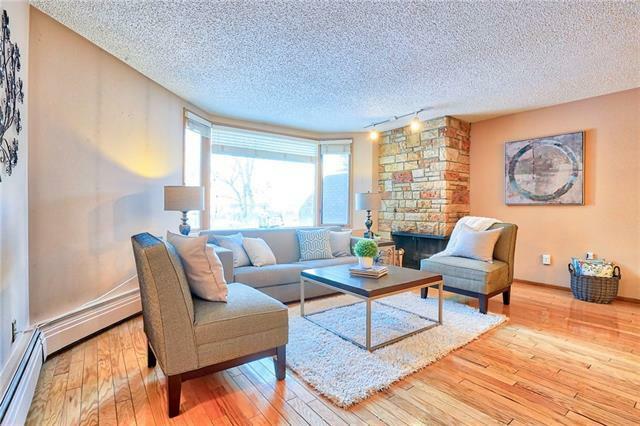 Amazing living room, bright & airy, with cozy stone fireplace perfect for chilly winter nights. Loads of space in the open dining room. Good sized kitchen with laundry room off the kitchen.Owner's bedroom is a wonderful retreat after a long day with a nice balcony & wall of windows to let in plenty of natural sunlight, yet private surrounded by mature trees. 4 pc ensuite & huge walk-in closet! Two assigned secure parking stalls located just out your back door. Direct access to the unit from the street and parkade. Amenities incl In-suite washer & dryer, several common area sundecks, separate storage locker. Close to many shops & restaurants on 17th Ave! 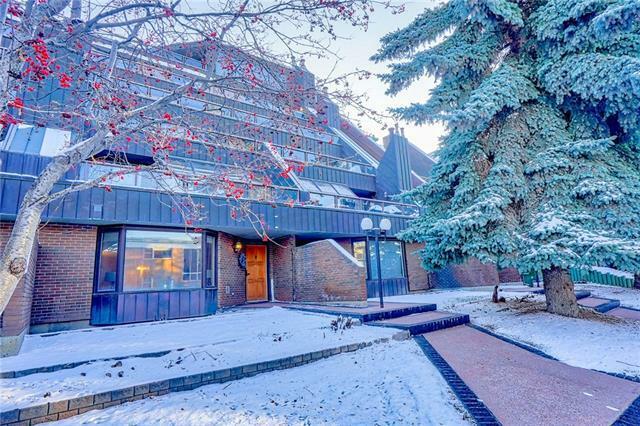 Easy walk to Stampede grounds & Repsol Centre for year round activity.